President Trump and members of his administration have rightly talked about the need to be tougher on trade enforcement, including promising to take a closer look at existing trade agreements to see whether they should be revoked, renegotiated, or more strictly enforced. 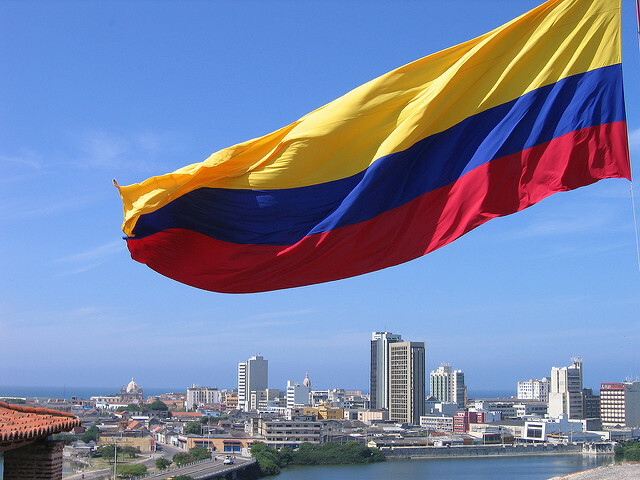 A candidate ripe for review is Colombia, and in particular, its ongoing failure to implement intellectual property provisions under the US-Colombia Trade Promotion Agreement (TPA). The US-Colombia agreement, which came into force in 2012, was supposed to raise the level of intellectual property protection and enforcement in Colombia up to a level similar to that of the United States. It addressed a range of intellectual property issues that affect modern digital trade, including rules that ensure copyright owners maintain rights over temporary copies on computers, protections for copyright owners making their work available online, and a framework of limited liability for internet service providers (ISPs) for copyright infringement by users. But Colombia has failed to live up to its side of the agreement. First, in 2011, Colombia introduced a bill that would have setup a limited liability framework for ISPs and a way for copyright holders to work with broadband providers to get infringing material removed, as per TPA Article 16.11.29(b)(ix) and the “ISP side letter” between the United States and Colombia. Yet, the draft law was never enacted. Second, in January 2013, Colombia’s Constitutional Court ruled that a law to implement a range of the TPA’s intellectual property provisions was unconstitutional on procedural grounds (namely, that the law did not go through the proper approval process in Colombia’s Congress). In the intervening four years, Colombia’s government has failed to follow up. Draft legislative proposals such as Bill No. 306 in 2013 have been floated and debated, but nothing has been passed. What’s just as concerning is that the most recent draft of this bill still fails to fulfill Colombia’s obligations under the TPA because it doesn’t include provisions to setup a limited liability framework for ISPs. Why Colombia has done this is hard to understand as such policies are hardly new or unusual. The United States, many European countries, and other nations around the world have similar provisions in place to protect the valuable role played by internet intermediaries in today’s digital economy while setting up a process for copyright holders to get infringing material blocked or removed. Colombia’s government should realize that enacting these changes are in its own interests. Stronger intellectual property protection and better enforcement supports its plans—Plane Vive Digital 1 and 2—to develop a vibrant and innovative digital economy. Furthermore, stronger intellectual property protections are a win-win given digital trade between Colombia and the United States. Trade in digitally delivered services (which includes exports of software and information services) already represents an estimated 12 percent of Colombia’s total exports—and that increases to over 17.5 percent when you count digital services embodied in goods exports (such as with software development and IT services). The United States is Colombia’s largest market for the export of digitally delivered services, while the United States is the largest source for digitally delivered service imports, especially for intellectual property, software licensing, and media licensing. However, the comparative level of protection and enforcement in this digital trade relationship is thus far one sided—while Colombian companies enjoy preferential access to the US market under the TPA and benefit from strong intellectual property protections and enforcement, US companies and their intellectual property don’t receive the same protection in Colombia. The United States could have used the TPA’s dispute settlement mechanism to force Colombia to address the issue, but for whatever reason, has not yet chosen to do so. Typical of US trade agreements, the TPA includes a process for signatories to initiate a legal evaluation of claims if one country thinks that the other has not fulfilled its side of the agreement and whether compensation is warranted. Thus far, the United States Trade Representative’s limited response has been to publicly shame Colombia in its annual Special 301 Report—its list of US trading partners that have the most egregious intellectual property practices. But in this case, shame doesn’t seem to have worked. The Trump administration and its new trade team should change their approach and initiate a dispute under the TPA to get Colombia to live up to its side of the agreement. Trade agreements such as TPA play a valuable role in setting new global trade rules, and especially with intellectual property, are crucial to setting higher, common standards of protection and enforcement. However, as is the case with Colombia, unless they are fully enacted and enforced they result in an uneven playing field that undermines US companies’ ability to benefit from such trade agreements. Nigel Cory (@NigelCory) is a trade policy analyst at the Information Technology and Innovation Foundation, a think tank focusing on the intersection of technological innovation and public policy. He previously worked as a researcher at the Sumitro Chair for Southeast Asia Studies at the Center for Strategic and International Studies and worked for eight years in Australia’s Department of Foreign Affairs and Trade. Click here for his full bio. "A Case For Trade Enforcement: Colombia And Intellectual Property" by Intellectual Property Watch is licensed under a Creative Commons Attribution-NonCommercial-ShareAlike 4.0 International License.